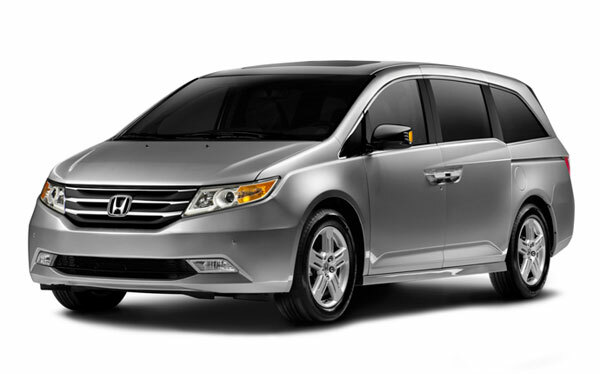 2012 Honda Odyssey is the new luxurious car manufactured to please the elite sense of sophisticated drivers. The new Honda Odyssey has an eye catching exterior, comfortable interior, powerful engine and is equipped with state of the art safety features. Innovative technological features also add to the interior. Let’s have a first look at some of the superb features of this 8- passenger touring car. 2012 Honda Odyssey comes in the following five assorted trims. Honda Odyssey captivates everyone in it charm with its stunning exterior. The bold and aerodynamic design of the body enhances its looks. The 18- inch alloy wheels are integrated beautifully into the body of 2012 Honda Odyssey. Power Sliding doors on EX- model and power tailgate on EX-L makes the car high tech. High density charged lights are incorporated in the elegantly in the chassis of 2012 Honda Odyssey. 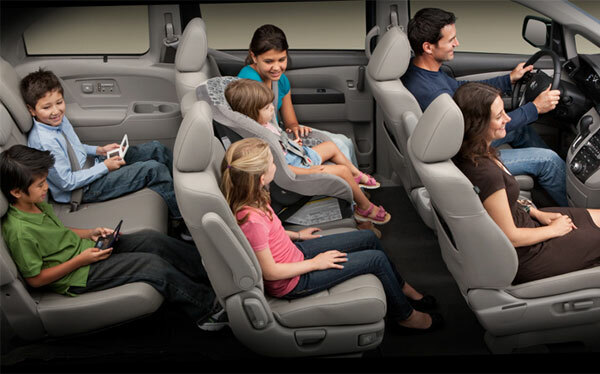 2012 Honda Odyssey exhibits a luxurious interior with a sufficient space to tuck in a family of eight people. The seats are comfortable and spacious. The unique feature is one motion 60/40 split 3rd row magic seat which gives you an ease in seating. The cargo area is maximized with removable front center console and storage boxes. Your luggage is also properly secured in cargo area efficiently. 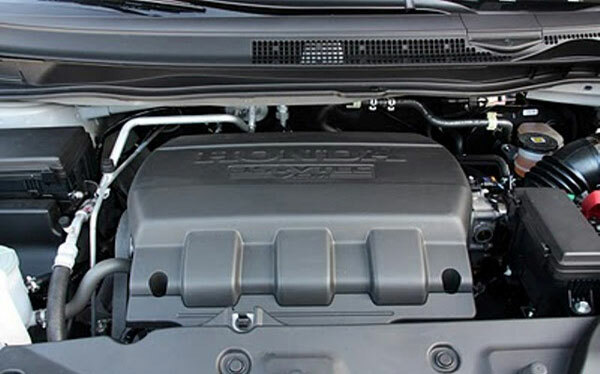 Power performance is the trait of Honda and 2012 Honda Odyssey truly enjoys this attribute with its power efficient 3.5-liter, 24-valve, SOHC i-VTEC V-6 engine. It is capable of giving an output power of 248 hp. The six- speed transmission gives outstanding performance and fastest acceleration. The 2012 Honda Odyssey is also greener for your environment. Variable Cylinder Management ensures fuel efficiency with CARB’s ULEV-2 emissions rating. All the 2012 Honda Odyssey Touring models give an estimated EPA rating of 19 mpg in city and 28 mpg on highway. While on EX- L and other models, mileage of 18 mpg in city and 27 mpg on highway is achieved. 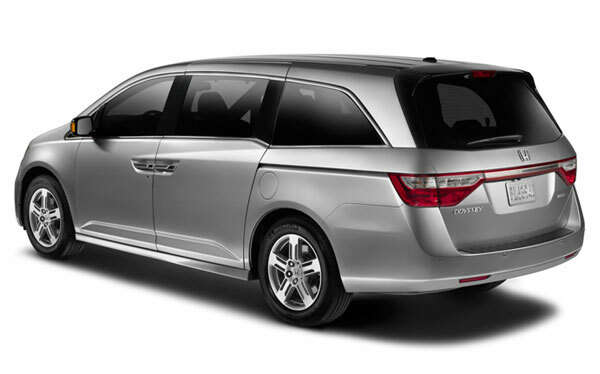 Standard Safety features are added to 2012 Honda Odyssey to ensure your protection. The 2012 Honda Odyssey is a five- star safety vehicle with active safety features which include Advanced Compatibility Engineering Body Structure that keeps the car safe during crash. Anti-Lock Braking System and Electronic Brake Distribution gives more control over the car. Daytime Running Lights assists the driver in fog and less light. Driver’s and Front Passenger’s Active Head Restraints and Dual-Stage, Multiple-Threshold Front Airbags protects your family. Front 3-Point Seat Belts with Automatic Tensioning System keeps your children safe and Vehicle Stability Assist with Traction Control stabilizes the car in emergency situations. Comfort and Convenience features are added to 2012 Honda Odyssey to ease both the driver and passengers. Blind Spot Information System lets you to take sharp turns easily on hilly roads. Honda Satellite Navigation system with Voice Recognition doesn’t let you get lost and you can easily find your way to your desired location. So, get ready to have your hands on the new 2012 Honda Odyssey and enjoy your magical ride.